Our mission is simple: to provide you with the finest endodontic treatment available anywhere. We offer convenient, comfortable, high-quality care that will help you keep your natural teeth for a lifetime. If you have been referred to us, it is because your dentist feels that you require the expertise of a root canal specialist. Our goal is to make your visit as pleasant and comfortable as possible. Before beginning any treatment, you will have a thorough dental examination and consultation. Dr. LeCheminant will explain the nature of your dental disease and will recommend the treatment options that will best suit your needs. Cypresswood Endodontics is equipped with the most up-to-date, high-tech endodontic equipment currently available. A Zeiss PROergo operating microscope is used during all phases of the endodontic treatment. This microscope allows every portion of the root canal system to be meticulously cleaned, providing the best possible prognosis for complete healing of your tooth. We also use digital radiographs to provide computerized imaging of your teeth using less than half as much radiation as traditional x-rays. During your appointment, just sit back and relax and listen to your choice of music. 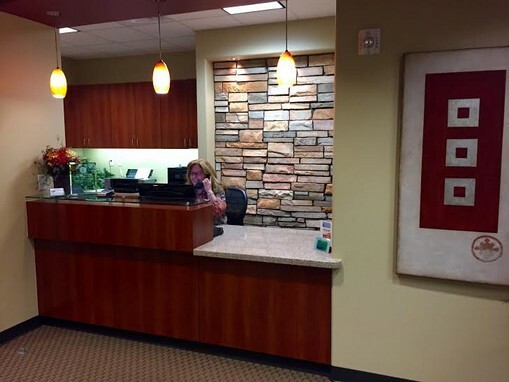 Our patients are pleasantly surprised at how comfortable they are during their appointment. However, if you are experiencing nervousness or anxiety, you may choose to breathe nitrous oxide to help you relax. We also provide oral concious sedation for patients who request it. We are located at the northeast corner of Cypresswood Drive and Cutten Road, less than a mile east of Highway 249, right behind Perry's Steakhouse.